Contact Us · Min Plastics & Supply, Inc.
We’ve helped to provide an array of solution to many of our customers and we are glad to help you with your next project. To request a quote or more information, fill out the form below and one of our sales representative will contact you shortly. You may also attach drawings, photos, or files below. Feel free to visit our resources page for more product information and frequently asked questions. What is the material color and thickness required? What are the quantities and dimensions required? Are there any special requirements or specifications? What is the required delivery date? Accepted file types: psd, ai, jpg, pdf, png, excel. The nearest main intersection is King Street & Dillingham Boulevard. 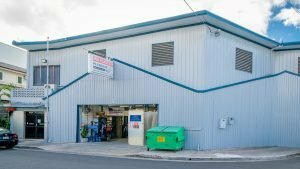 We are located one block Diamond Head of Dillingham Boulevard and on the ocean side of King Street (the rear of Jack in the Box).